Served faithfully for 23 years as a Pastor in London in one of the fastest growing denominations in the world. Together with his wife, Abimbola, they are now the Lead Pastors at the Liberty Church where they equip believers to live a Spirit Empowered life. Dr Sola Fola-Alade has touched the lives of thousands around the world with a simple but powerful message that inspires, challenges and empowers individuals to live beyond their limitations, discover their Destiny and live by Divine Design. He equips people to make an impact in their generation and exercise their leadership influence in society. For close to two decades he has trained & influenced thousands of people through his seminars, television broadcasts and the publishing of the internationally acclaimed quarterly Leadership & Lifestyle magazine. Relationships” co-authored with Pastor Bimbo. All his books are available on Amazon.com and at reputable bookshops. 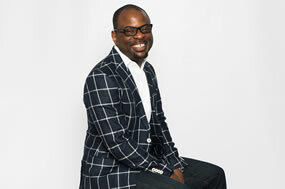 Dr Fola-Alade resides in London with his wife Abimbola & they have two sons.